Combining elegance with spacious comfort, the Hotel Bristol Stephanie offers 142 of the largest bedrooms and junior suites in Brussels. In the uptown fashionable shopping and business area of Brussels, metro station 'Louise', 1.5 km from railway station 'Midi'. 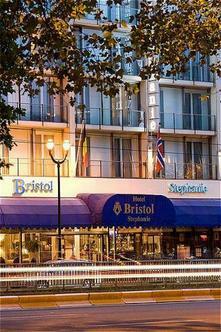 11 km from Brussels International Airport and 10 km from Heyzel fair grounds.